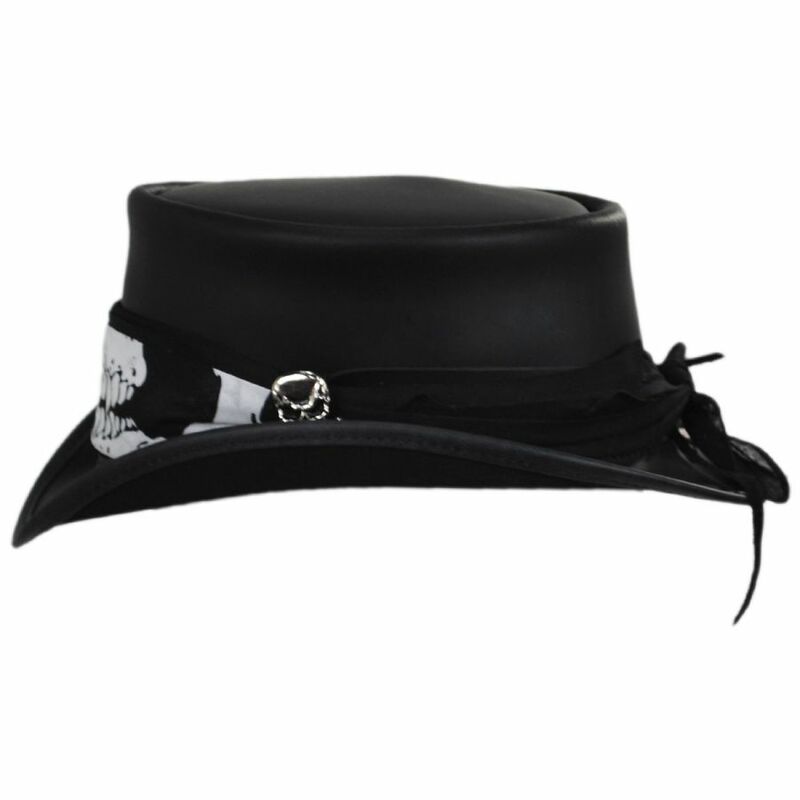 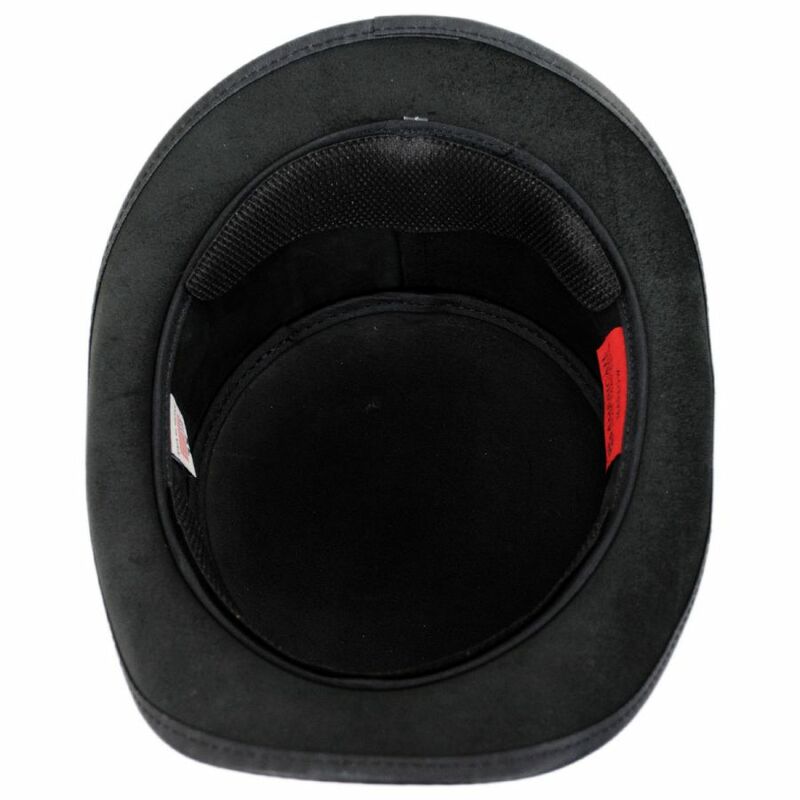 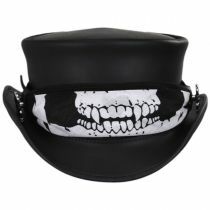 Simple and savvy, the Skull Rider Leather Top Hat is just remarkable! 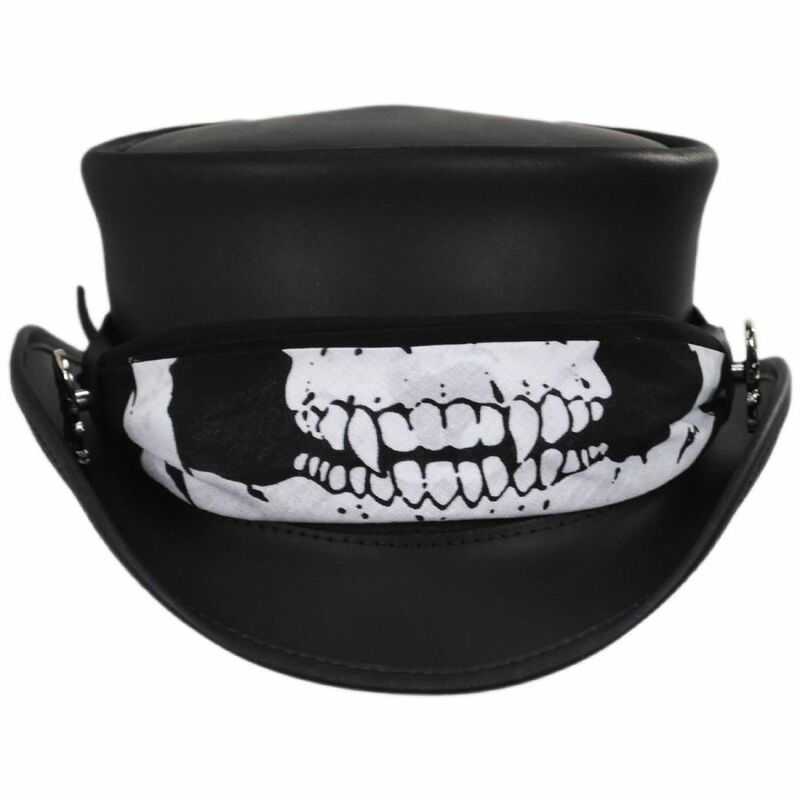 The hat itself is clean and neat, adorned with a striking cloth vampire skull bandana wrapped around the crown. 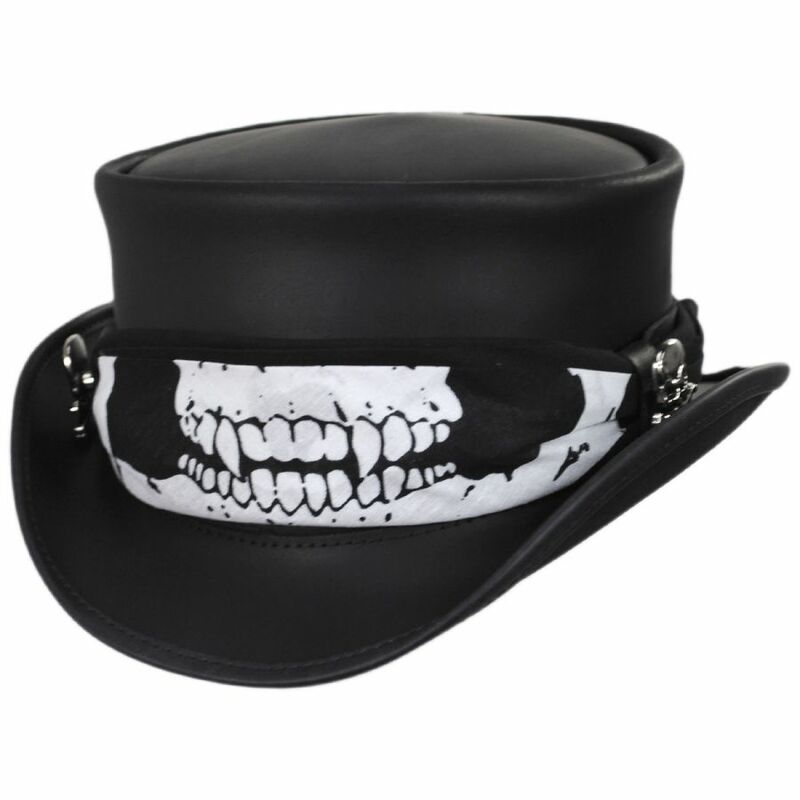 On either side of this US-made hat band are two detailed, metallic jolly roger skull and cross bones side pins.